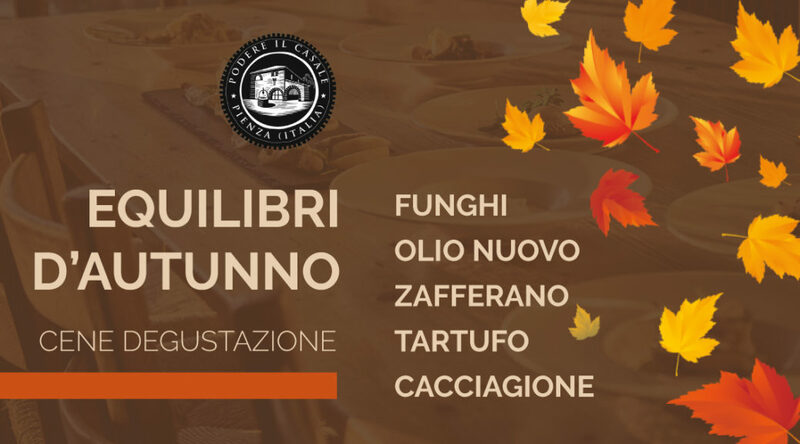 AUTUMN FLAVORS - Podere il Casale, Tuscany. Organic Garden Restaurant, services, products. 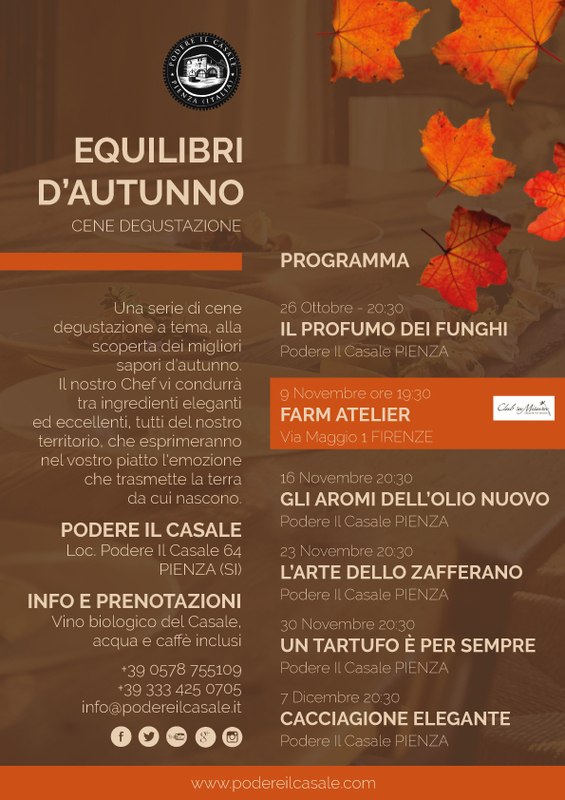 Podere Il Casale launches “Autumn Flavors“, a series of themed tasting dinners, to discover the best flavors of this season. In the fantastic setting of the Val d’Orcia, our Chef will take you on a journey that will touch the most precious fruits of autumn, making a tasting dinner an unforgettable experience.In our restaurant the unmistakable scents of mushrooms, white truffles, game, new olive oil and saffron, will move sinuous and aromatic between the tables.Elegant and excellent ingredients, all of our territory, which will express in your dish the emotion that transmits the land from which they are born.An unmissable opportunity to give love to your love for food.